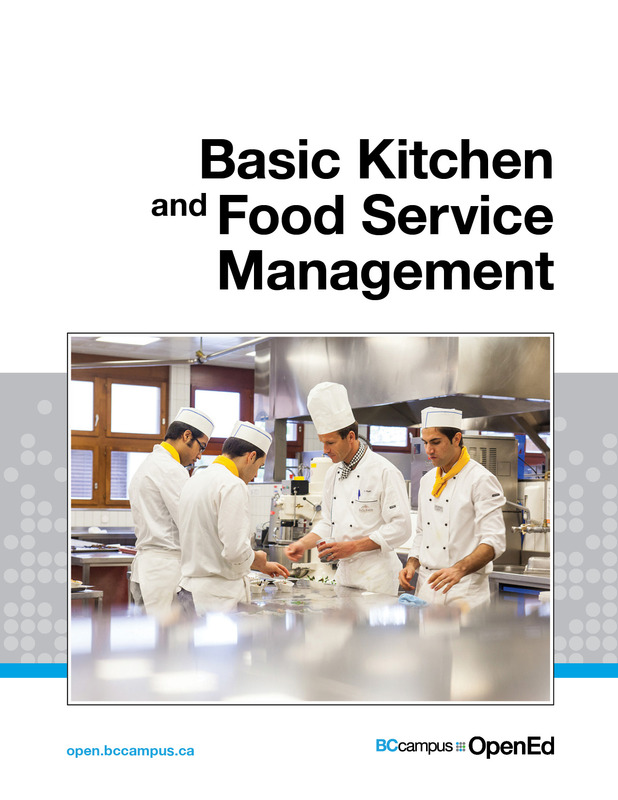 Book Description: Basic Kitchen and Food Service Management is one of a series of Culinary Arts open textbooks developed to support the training of students and apprentices in British Columbia’s foodservice and hospitality industry. Although created with the Professional Cook, Baker and Meatcutter programs in mind, these have been designed as a modular series, and therefore can be used to support a wide variety of programs that offer training in foodservice skills. Basic Kitchen and Food Service Management is one of a series of Culinary Arts open textbooks developed to support the training of students and apprentices in British Columbia’s foodservice and hospitality industry. Although created with the Professional Cook, Baker and Meatcutter programs in mind, these have been designed as a modular series, and therefore can be used to support a wide variety of programs that offer training in foodservice skills. Basic Kitchen and Food Service Management by The BC Cook Articulation Committee is licensed under a Creative Commons Attribution 4.0 International License, except where otherwise noted. Basic Kitchen and Food Service Management by the BC Cook Articulation Committee is used under a CC BY 4.0 International Licence. BC Cook Articulation Committee. (2015). Basic Kitchen and Food Service Management. Victoria, B.C. Retrieved from https://opentextbc.ca/basickitchenandfoodservicemanagement/. “Craft Based Learning” by Les Roches International School of Hotel Management is used under a CC BY 2.0 Generic Licence.